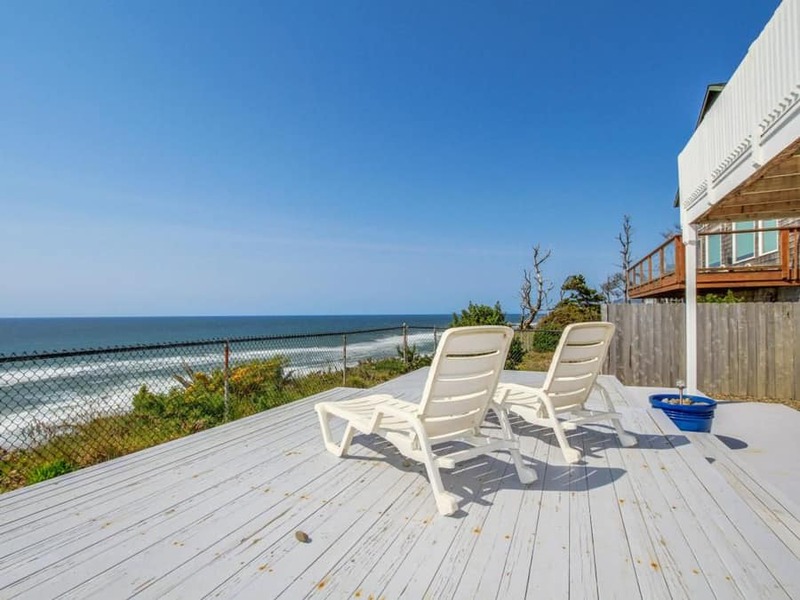 Sitting high above the Crashing Surf, OCEANFRONT DREAMS provides a Breathtaking view of miles of Open Ocean. We welcome you to share our 2100 sq.ft. 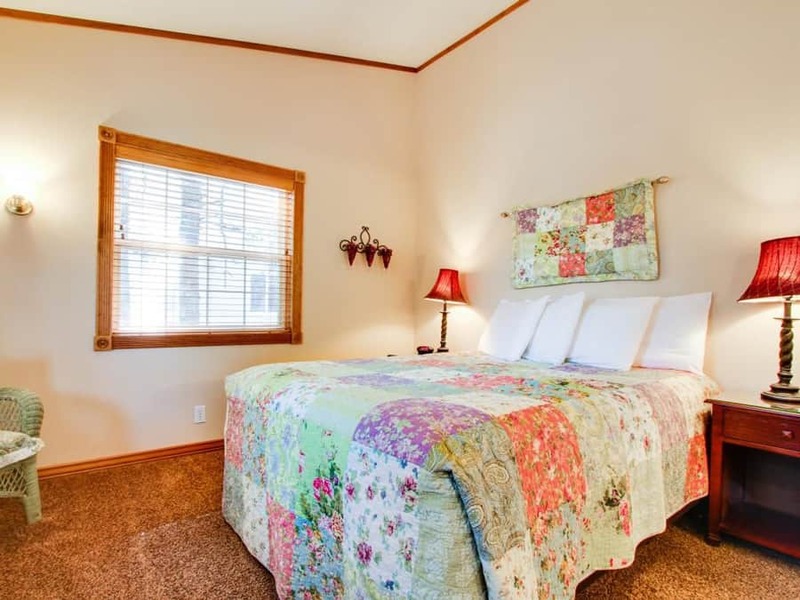 3 Bedroom, 2 ½ Bath Vacation Home where we come to relax and share memories with Family and Friends. 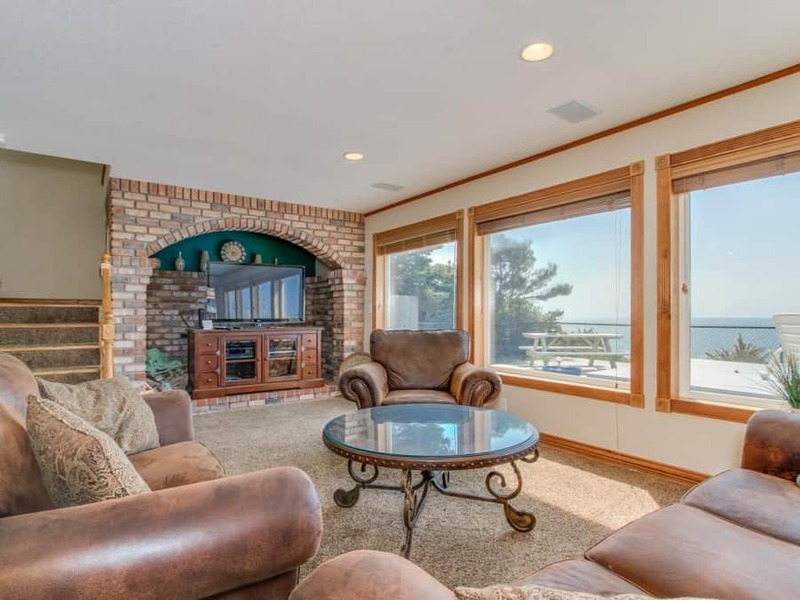 The Coastal View is Incredible; with a Wall of Windows in the Living Room and Upstairs TV Area and Oceanfront views from both the Master Bedroom and Master Bath. Step outside and Enjoy our Expansive Deck with chairs, lounges and picnic table, with a 160 degree view that is Magnificent. Relax in our Living room and Enjoy the View or watch a movie on our 50” Flat Screen TV with DVD player and Movies provided. 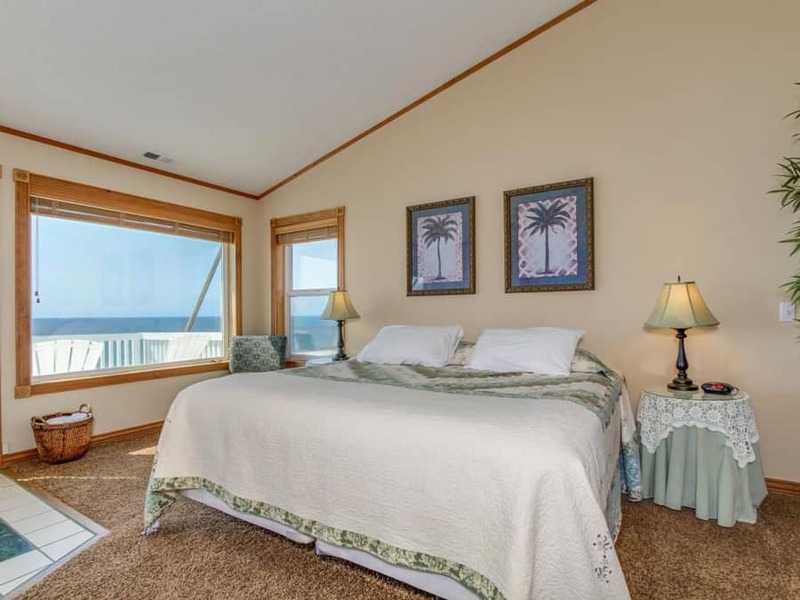 The Master Bedroom is on the Second Floor, with a King Size Bed, a 32” Flat Screen TV and a 2 Person Jacuzzi Tub in the room, which in itself has a Stunning View of the Magnificent Coastline. 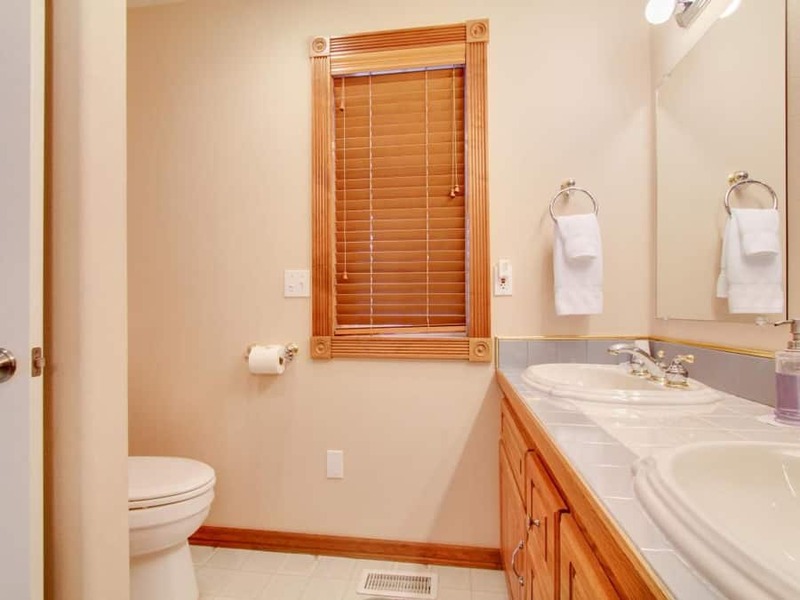 Enjoy a cup of coffee in the Morning or a glass of wine at Sunset on the Private Balcony just off the Master Bedroom. 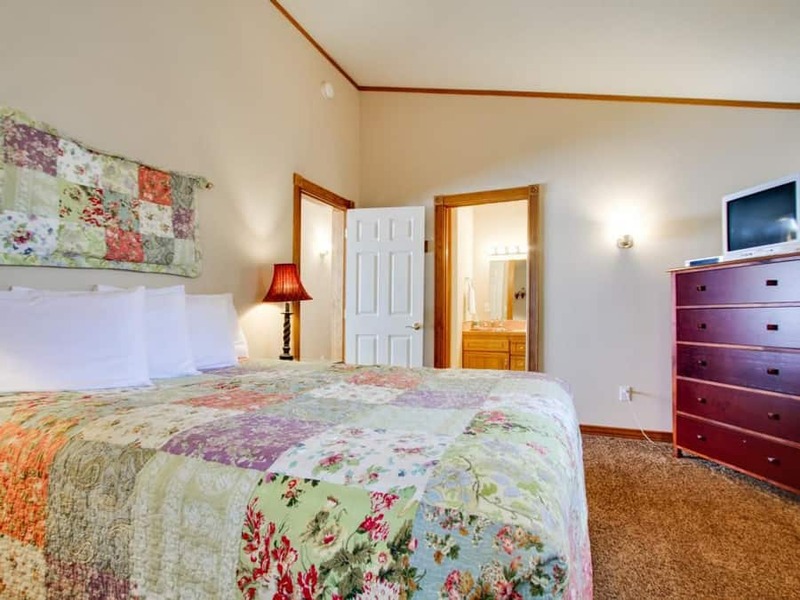 Bedrooms 2 and 3 are also located upstairs, both with Queen Size Beds and 19” TVs. Our TV Area upstairs has a Queen Size Sofa Sleeper, a 32” Flat Screen TV, a Wii Console with Games and Books for your Reading Pleasure. 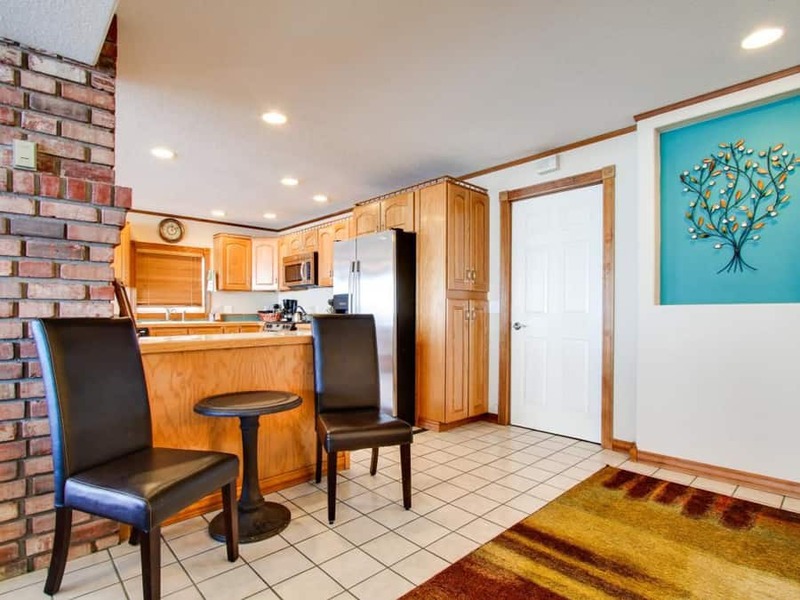 We love cooking in our Kitchen, which is open to the Dining and Living Room and has the capability to “Slice and Dice” while visiting with Family and Friends with the Beautiful Pacific Coastline as your Backdrop. 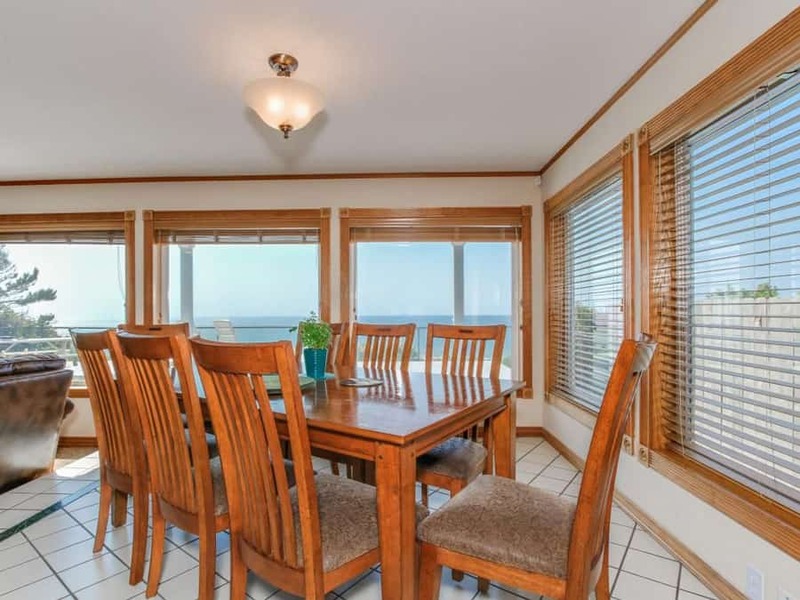 Enjoy your meal at the Dining Room Table that sits 8 comfortably and yes once again; with a view of the Pacific Ocean. 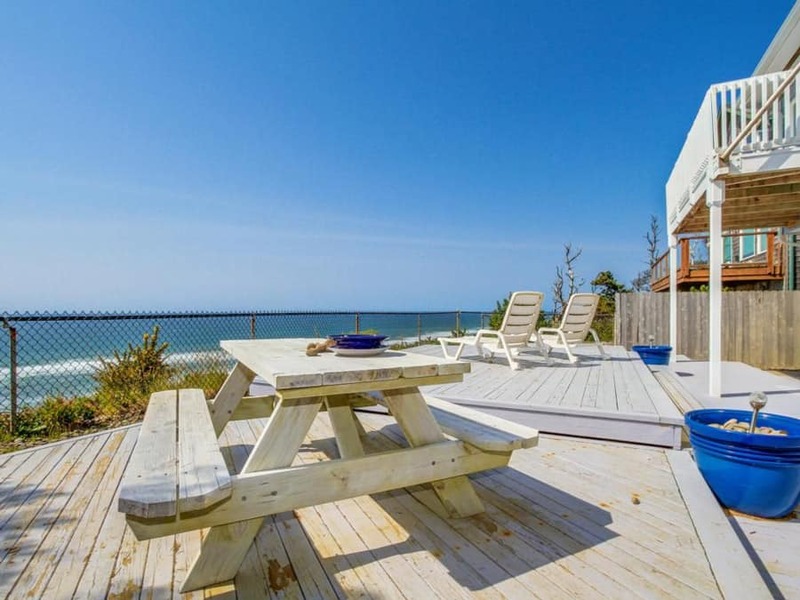 The Beach Access is approximately 2 blocks (North) from our home; where you will find an Easy Access Handicap Ramp, Public Restrooms as well as 21 Parking Spaces. We are located less than 5 minutes from the Tanger Outlet Mall (GO GET THOSE COUPON BOOKS!) and with a short drive North of our home, you will find a Multitude of Shopping; Antique Stores, an Art Gallery and Chinook Winds Casino. South of our home you will find Depoe Bay and Newport, OR, both boasting shopping, activities and restaurants. 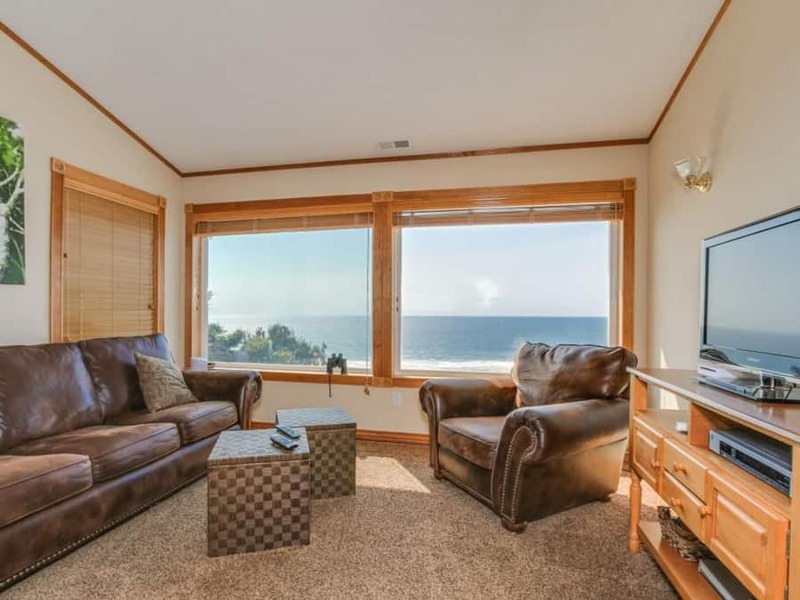 Best beach house in Lincoln City! 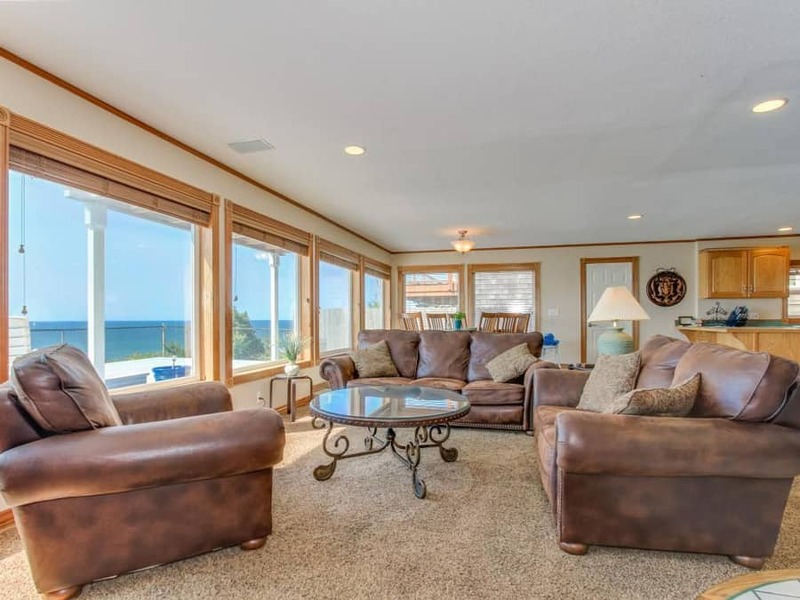 We had a lovely time at the OceanFront Dreams beach house in January. The house accommodated our family’s needs. Our daughter was visiting for a short vacation from her teaching job out of country. It was important to us to have a time away together. The house was very comfortable and as advertised. We enjoyed the Jacuzzi tub. The beds were comfortable and we had plenty of room for the six of us. It was a stormy weekend and the views were great of the large waves. 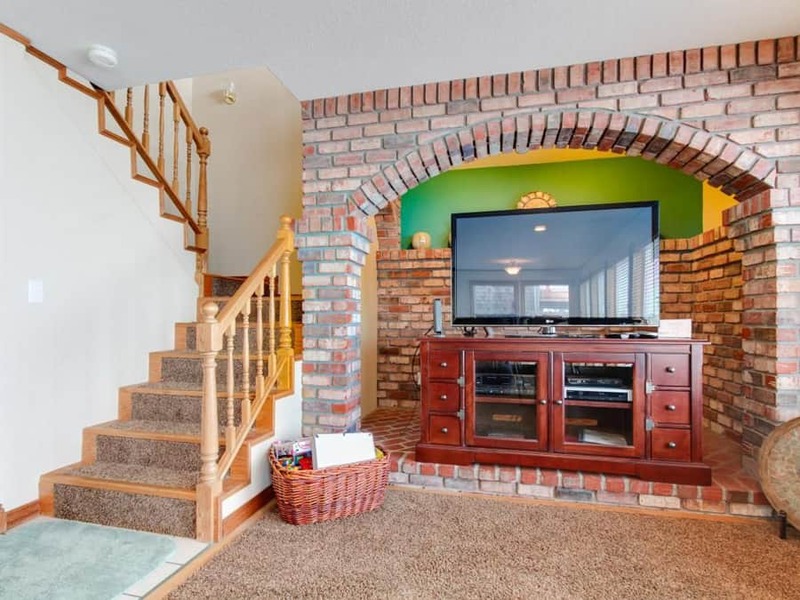 It was nice to have a large great room since our granddaughter is crawling. 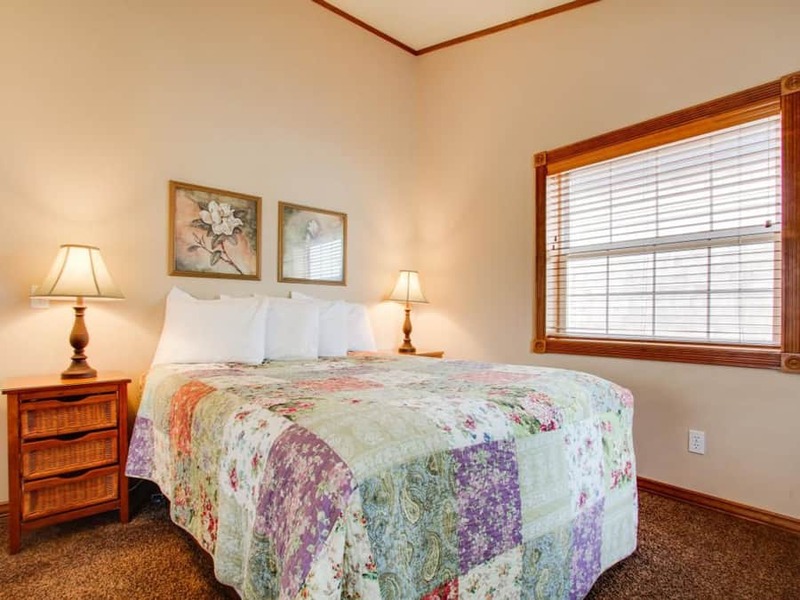 The bedrooms are all upstairs which gave us the opportunity to put her to bed and have some adult time. We will have happy memories of our time at Oceanfront Dreams. 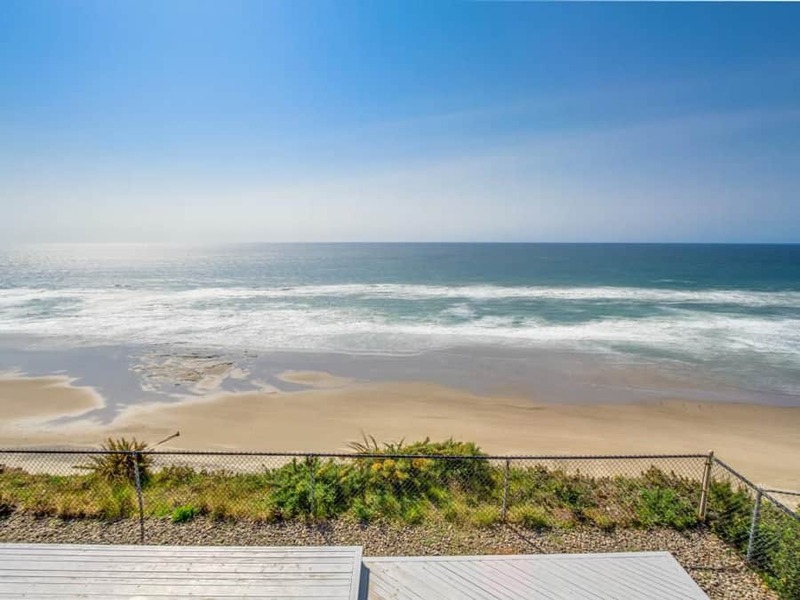 This is the Ultimate Beach Home in Lincoln City. Amazing and Breathtaking! Hey Buddy!, I found this information for you: "Ocean Front Dreams". Here is the website link: http://beachfrontgardeninn.com/hb_accommodation/ocean-front-dreams/. Thank you.